Simtars and QMIHSC breathe new life into 30! 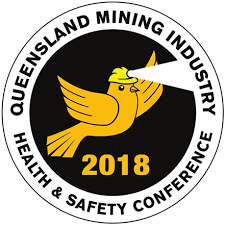 Both Simtars and the Queensland Mining Industry Health and Safety Conference (QMIHSC) will celebrate their 30th anniversaries this year. Simtars’ successful partnership with the QMIHSC has ensured our continued sponsorship of this year’s milestone event which will be held from 19 – 22 August. Our ongoing support of the QMIHSC has contributed to the growth of the event, highlighting our enduring commitment to key occupational health and safety issues within the resources industry. This year’s conference theme, ‘Realising Opportunities Together’ will showcase seven of the Simtars team participating in Keynote Sessions, the pinnacle of each year’s conference. More than doubling the number of presenters Simtars had in 2017, their presentations will take conference attendees on a compelling exploration of current and emerging health and safety best practice for Queensland mines. Make sure you plan your conference well, visit the QMIHSC website today.